I would like to give kudos to the artists of our market. This group makes up less than 10% of our total market mix, and at a market that is known as a "foodies" market, I feel like they often don't get the attention they deserve. Today I'm giving a shout out to our artists, and I'd like to share a bit about a few of them (stay tuned for part 2, when I will be covering more of our awesome non-food vendors). Jocelyne April of April Designs Studios has the most eye-catching sculptures that I have ever seen in a market! She uses a technique called Paverpol, which is a non-toxic, environmental friendly fabric hardener used to make both indoor and outdoor sculptures, abstract objects, wall art, vases, decorative items, animals, jewelry, masks ... the list is endless. 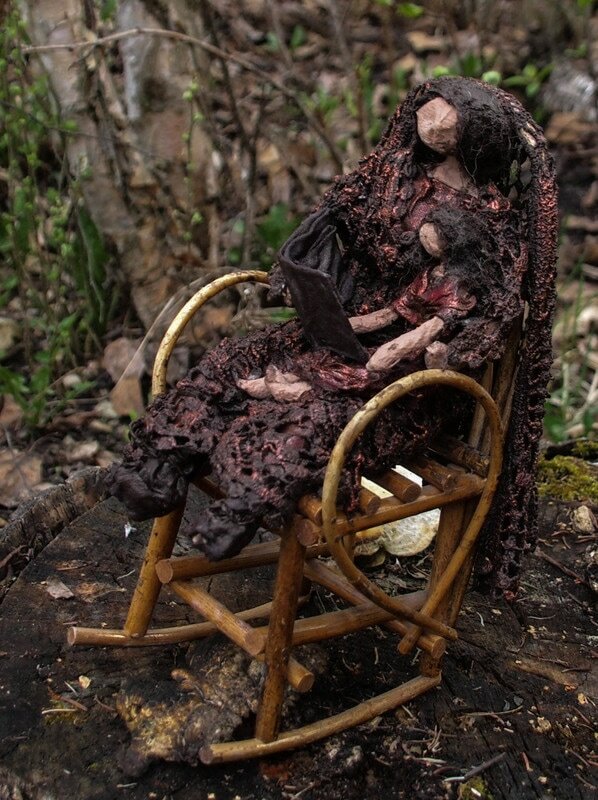 Her work is wonderful and I can truly say that these pieces are so unique, and will probably get people curious when they see one of these in your home or yard. Catch Jocelyn at the market on July 12, August 23, and September 13! Chewelry & Babe and From the Mouth of Babes both sell beautiful baby items. 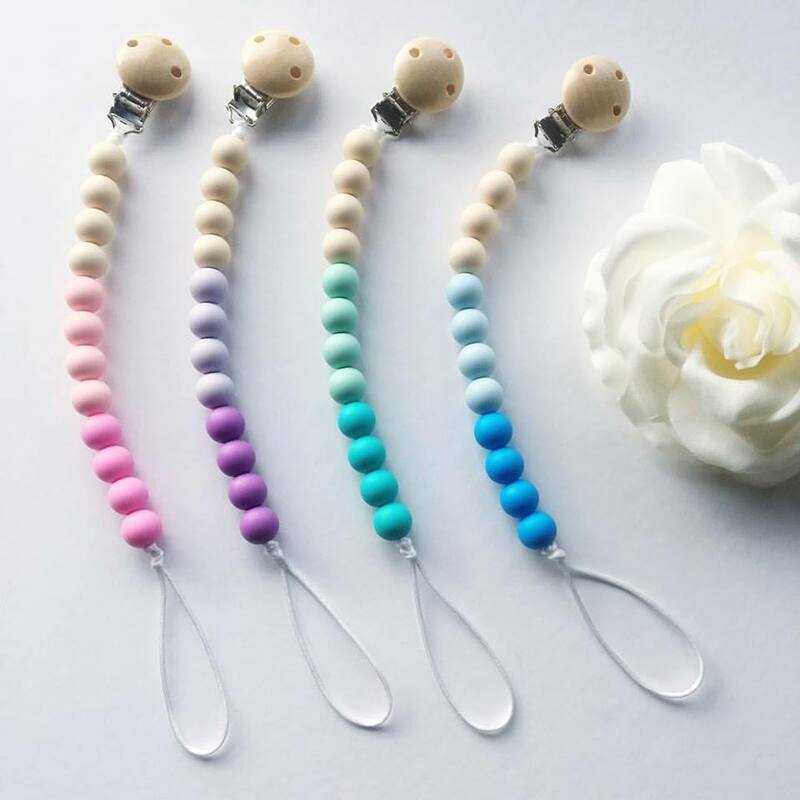 Chewelry has homemade silicone teething bracelets and necklaces, pacifier clips, and rattles. 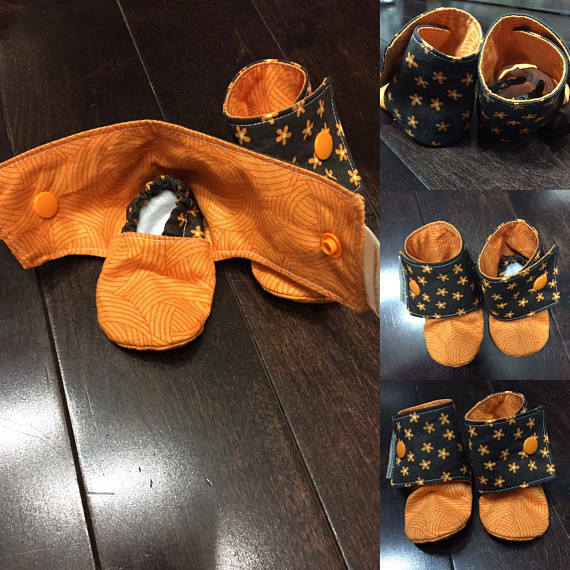 From the Mouth of Babes has booties, shoes, hats and clothing. If you are expecting, have a little one, or need a gift, be sure to check these vendors out! Ethereal Therapy is new to the market in 2017. They began to develop and produce handmade vegetable oil soaps and shampoos in 2000, and soon began encountering customers with problematic skin conditions such as eczema and psoriasis. 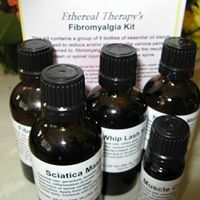 They listened to what their customers wanted and needed, and developed their own line of therapy products. Stop by their stall at the market and have a chat. Not only are their products worth checking out, but they are uber friendly and interesting! Lastly, be sure to pop by Dazzling Designs' stall and have a chat with Archana, who makes all of these beautiful creations, largely from fabrics she imports from her family's community in India. 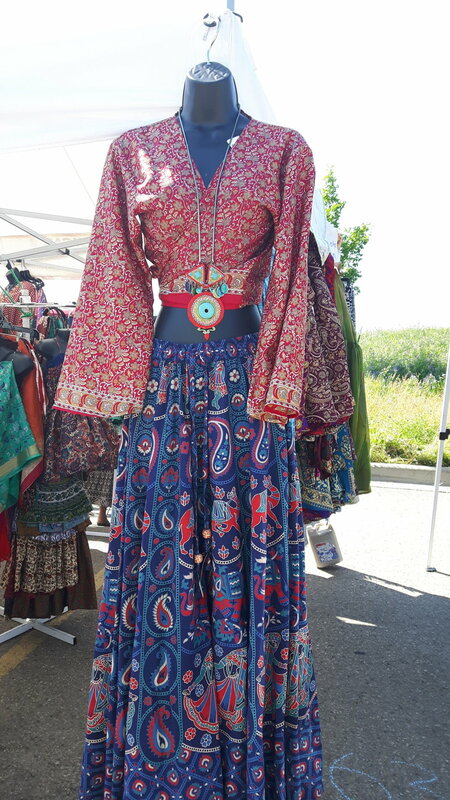 Her collections features handmade apparel and scarves and hand-painted jewelry. Her next market dates are July 19th Aug. 2nd, and Sept. 13th. This weeks feature is Artisans. We have a wide variety of artisan vendors from soap to baby clothes to jewelry we have it all! Check out all the veggies from the autumn harvest this week at the market, from squash to carrots to cauliflower. Our vendors have it all! Visit the market for healthy, local foods for back to school. This week we are highlighting vendors that can help get you and your kids back into the school spirit! This week we are highlighting all the ways to cool down around the market, from sweet gelato to tangy lemonade. Our market is full of foods from around the world, from Morocco to Jamaica! This week we're highlighting a few of the vendors dedicated to serving you their favourite cultural or national dishes.